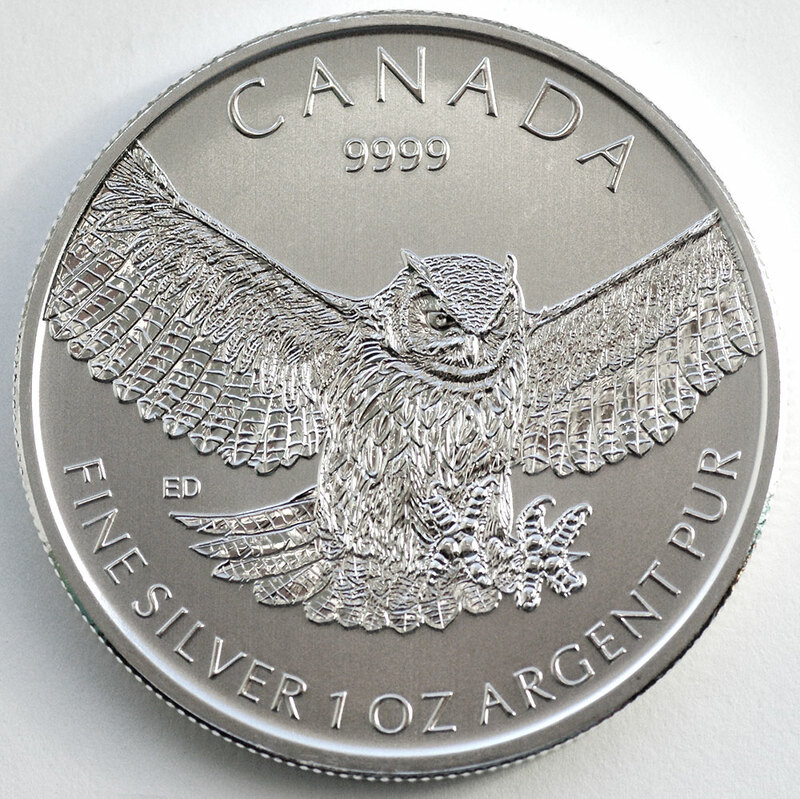 Late this summer, the Royal Canadian Mint released the final bullion coin in a series of four Birds of Prey. It’s the Great Horned Owl. You can see my initials ‘ED’ on the coin; yep, I designed this one! The skilled engravers at the RCM excel at showing fine details of their subject’s texture and color; this bird is no exception.